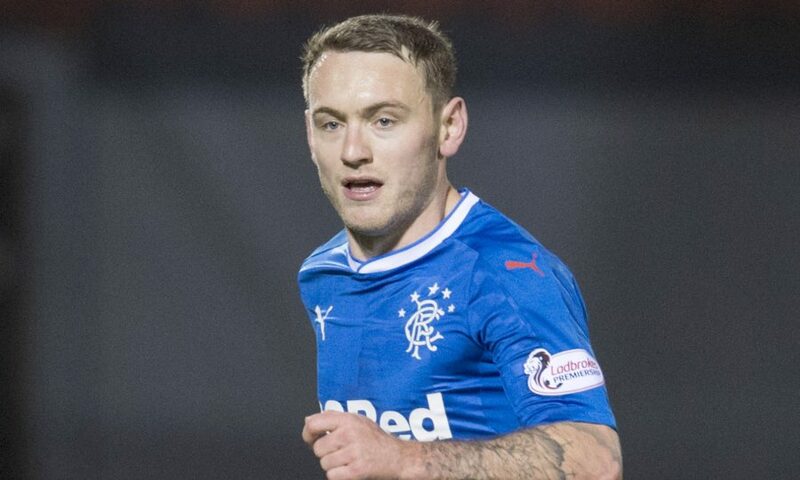 This whole Lee Hodson nonsense at the moment really is a case of a bandwagon and it’s one we find more than a bit unfair. Hodson is a player who divides us here at Ibrox Noise – some of us think there’s a player in there, while others couldn’t throw him out of Govan fast enough. But the frenzy of drivel about him following a sub-par display last night for his country borders on the ridiculous, and if I was Hodson, it would be feel more than a touch unjust. First off, the Ulster Boys were playing not only a world cup-bound side, but one who got to the quarter finals last time around, only to fall by way of penalties to the Dutch. Costa Rica are no slouches! Secondly, Hodson has had two appearances for Rangers this entire calendar year – how on earth can you judge his performance for his country when he is so rusty? Thirdly, most of his time in Govan has been completely wasted at left back – the guy is a right back and when he actually got a partial run in the team in his preferred slot, he looked much more accomplished. Heck, we even remember comments at the time praising his stability and admitting that while he wasn’t as thrusting an attacker as Tavernier, he was far better defensively. Hodson is no Cafu, we are the first to admit that. But he has around 15 caps for his country and you don’t do that if you can’t play. These days he’s a destroyed player – years of being mismanaged at Ibrox has left him a pale shadow of a very decent player. We’re not saying he should be ahead of Tavernier, but he should have got more of a say at that position when Tav’s form was questionable in the past. Now everyone is leaping on the bandwagon and we find it more than a bit unfair. Hodson still has some things about him, but support doesn’t seem to be one of them. You must be joking: One of the worst full backs I've ever seen at Ibrox (and I'm old enough to have seen Dave MacKinnon). Seems a little OTT to say that given not long ago Anestis Argyriou was shaming Greece on our right? I've tried that outlook myself "15 caps must be a player"etc. The truth is he is honkin.He's never a football player in his life and NI must have been really lacking in the full back department for him to play. I get behind each player that pulls that shirt on believe me but the boy just doesn't have anything. One of the remnants of the Warburton era that need relieved of duty as a player at the Club, maybe harsh but true at the same time.He's Kilmarnock/Thistle/ Dundee level at best.I wish him well though. I sometimes wonder about our Rangers supporters and many contribute in this forum. We often see this player, that player, etc. are not Rangers class. We need to take a hard look at ourselves as fans and think deeply; there are no current players and none for over five years playing for us ‘Rangers class’. Get over it, we have now a squad of players we’ll below par, Gerrard has not yet got the finances or tools in place yet to cure that situation, but he is allegedly wanting to retain Tavernier and Windass, two other players who suffered from fans abuse and degrading comments. New managers, treating all players as equals, can bring out the best in players disregarded by previous coaches, so let us all step back, let Gerrard do what he needs to do and if he sees something in Hodson then give the lad his chance to prove it one way or another. You never know what is about to happen, God forbid we might be baying for Gerrard to be sacked by Christmas or praising Windass for his attitude and effort and saying how wrong we all were about Hodson. The sooner Hodson is able to resurrect his career away from Rangers the better for both parties the better. He is no where near the quality that we need and playing for a lesser club where expectations are not as high as they should be at Rangers he might be a decent player. What amazes me is that he still manages to earn caps for Northern Ireland which suggests that there simply isn't any decent full backs of Ulster heritage. Cant argue with your comments IN. we were leaking goals at the back and Tav was nowhere to be seen and everyone was slating Tav for is lack of defensive capability, when Hodson did cover for him at RB he was far more solid and dependable at defending than Tav was and as a team our defending improved. Had it not been for Candeas coming in we might have actually seen Hodson at RB and Tav at RM - a combination i still think would work very well. At LB Hodson is woeful and as you said he was put in there on a few occasions and judged, slated for being incompetent (he is a RB). 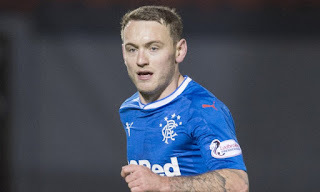 I cannot see him playing for us again though, with Arfield coming in who is also a very competent RB and Tav now staying i think Hodson will need to move on. Sorry, have to disagree. He's rank rotten.